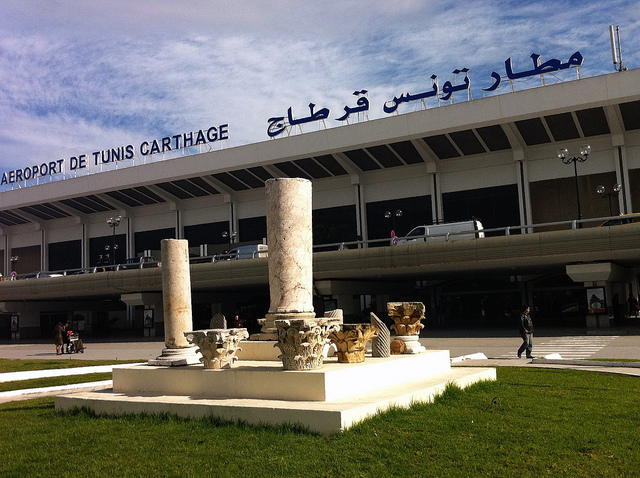 Tunisia has a number of international airports to service its sizable tourist trade. Tunis is the center of the transport system as the largest city having the largest port and a light transit system. Tunis–Carthage Airport is the international airport of Tunis. It serves as the home base for Tunisair, Tunisair Express, Nouvelair Tunisia, and Tunisavia. The airport is named for the historic city of Carthage, located just east of the airport. Enfidha Hammamet airport is the closest and the newest airport, located about 40 kilometers (25 miles) southwest from Hammamet. 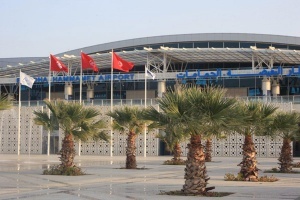 The airport is mostly used by European airlines bringing travellers to Tunisian holiday resorts. 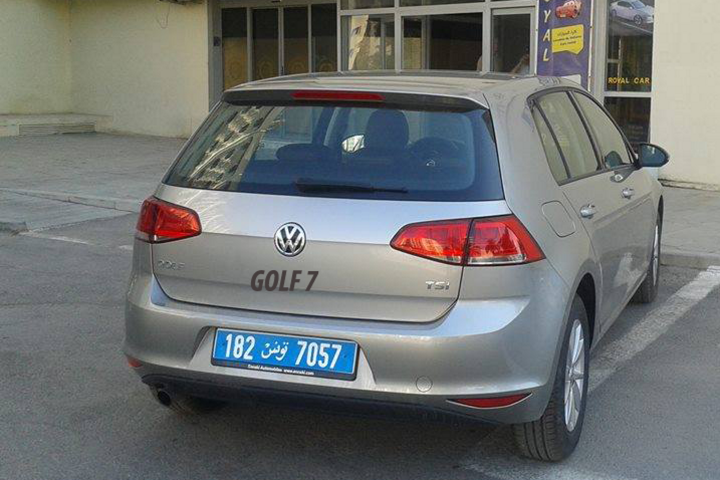 It was originally named after the former Tunisian president, Zine El Abidine Ben Ali. On 15 January 2011, one day after he left the country due to the social protests against his long dictatorship, his name and his pictures were removed from the airport building. The new name is Enfidha-Hammamet International Airport. The railways in Tunisia are operated by the Société Nationale de Chemins de Fer Tunisians (SNCFT), the Tunisian national railway. A modernization program is currently underway. It has a total of 2,152 km consisting of 468 km of 1,435 mm (4 ft 8 1⁄2 in) standard gauge railways and 1,674 kilometers of 1,000 mm (3 ft 3 3⁄8in) meter gauge. Tunis has a light rail system. In the south of Tunisia, there is a narrow gauge railway called the Sfax-Gafsa Railway which delivers phosphates and iron ore to the harbor at Sfax. 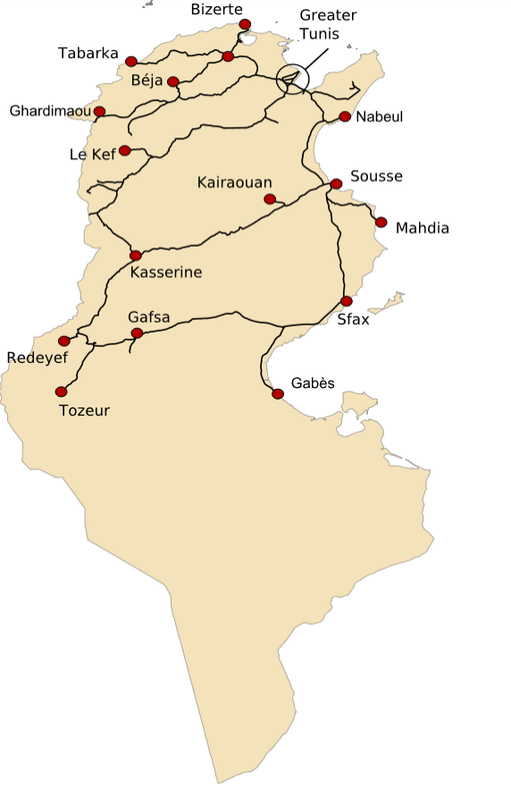 Tunisia has rail links with the neighboring country of Algeria via the Ghardimaou-Souk Ahras line, and another connection to Tébessa, however, the latter link is currently not used. There are no railways yet in neighboring Libya though some are under construction in 2008; some gauge conversion would be required for efficient connections. The Tunisian Railways (SNCFT) are easily the best way to travel between Tunis, Sousse, El Jem, Sfax and Gabès. 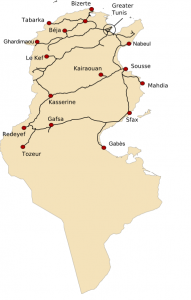 There is also a branch line from Sousse to Monastir and Mahdia, and several other routes. Trains are comfortable, modern and air-conditioned. 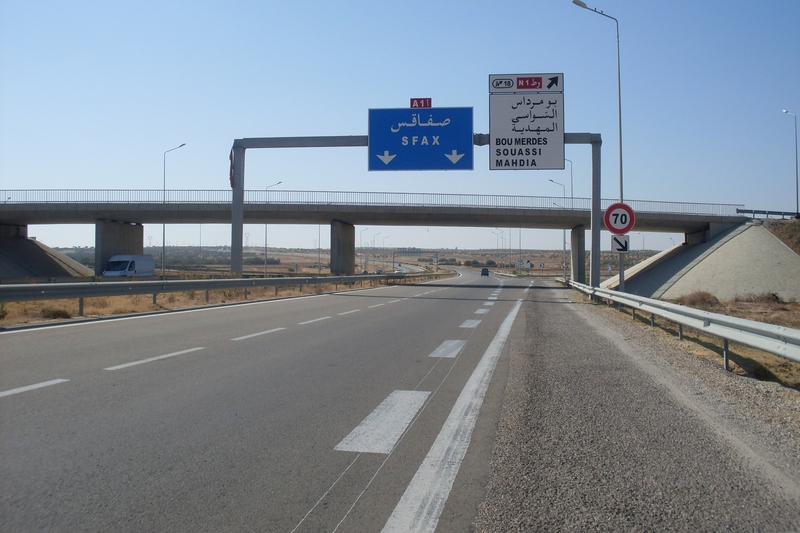 The A1 motorway is a road connecting Tunis and Sfax. It is part of the Trans-African Highway 1 that is planned to reach from Cairo to Dakar. 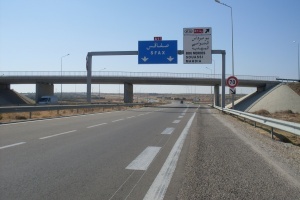 Total Length of the highway is 247 km, and connecting: Tunis, Ben Arous, Hammam Lif, Hammamet, Enfida, Sousse, El Jem and Sfax. The far south of Tunisia is now beeing connected too, there will be a 100km highway from Gabes to Medenine, and 92km road from Medenine to the Libyan border outpost of Ras Jedir. National buses are air-conditioned, fast, comfortable and inexpensive. Buses travel daily to most towns across the country. 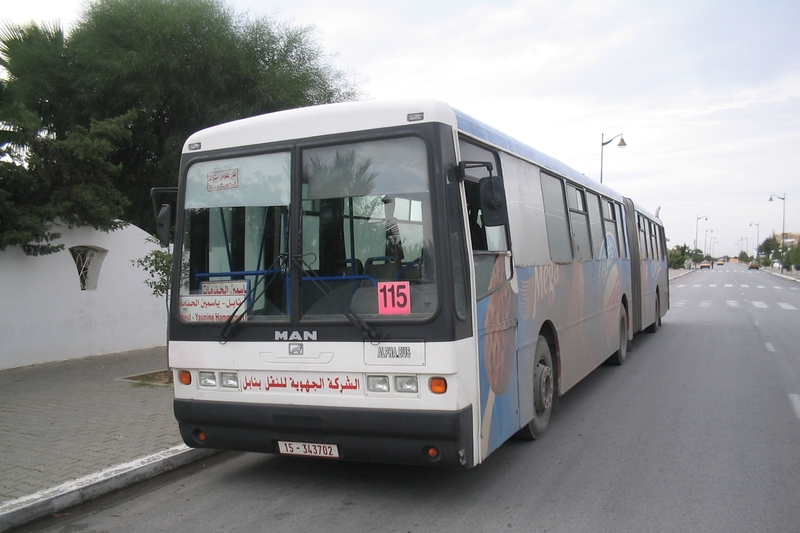 There are 3 big buses that do trips from Nabeul to Hammamet Yasmine every day starting from 6am to 10pm and in the summer they work till midnight. You need to pay for bus ticket inside when you get in, cost for 1 ticket from Hammet yasmine to Nabeul is less than a dinar. 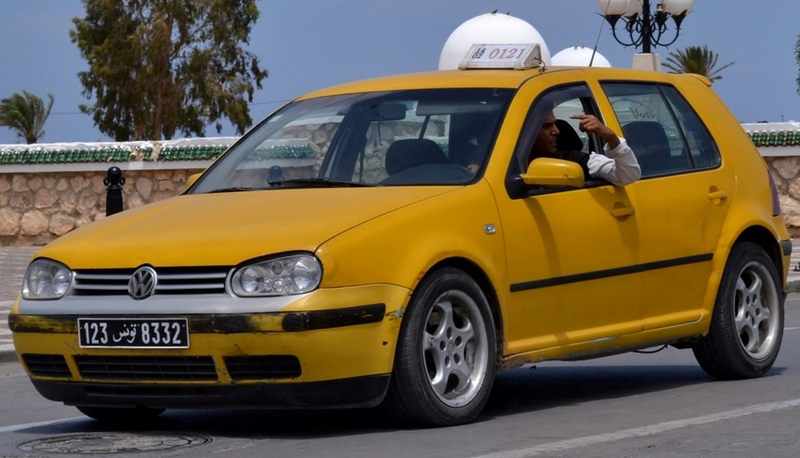 There are two kinds of taxis in Tunisia. 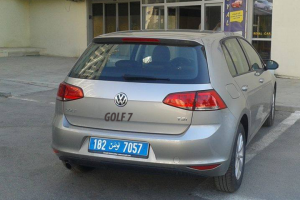 Private metered taxis are readily available within towns and cities and are reasonably priced. If you would like to hire the taxi for a half or full day it's usually cheaper to negotiate a price rather than work by the meter. If you really want to explore the country, both major sights and hidden corners, than you need to rent a jeep with the driver. Experienced drivers will be also the best possible travel guides, as these guys are well acquainted of their country knowing well what the tourists might want to see around. What you need to know is this, in the tourist brochures are not listed all the sights and places that tourists may be interested to see and visit. If you are single or couple, find another interested tourists (3-5 of them, if single), with whom you will share the costs of renting a vehicle.